December 13, 2017 12 Comments This post may contain affiliate links. 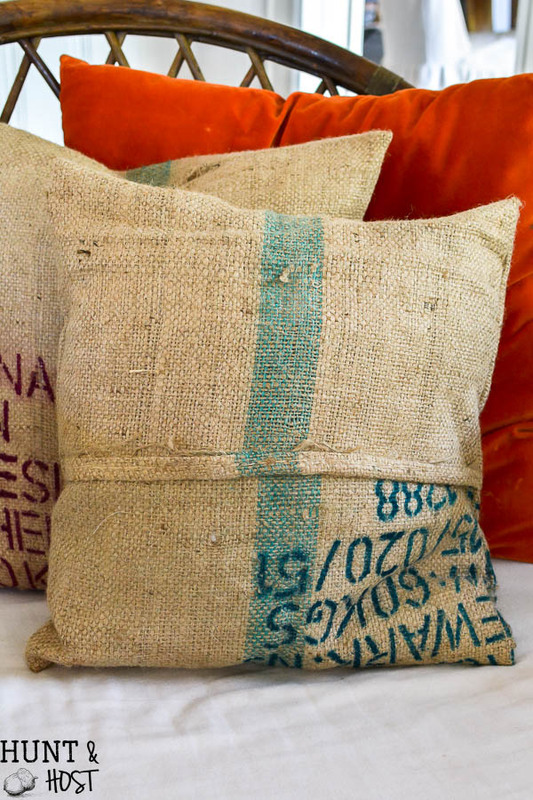 Coffee bean sack pillow covers are a quick and easy DIY! I have a small infatuation with coffee bean sacks. I can’t help it. My source is always full of fun prints and they are only a few bucks a piece. The bold font and bright colors make me want to make all the things. 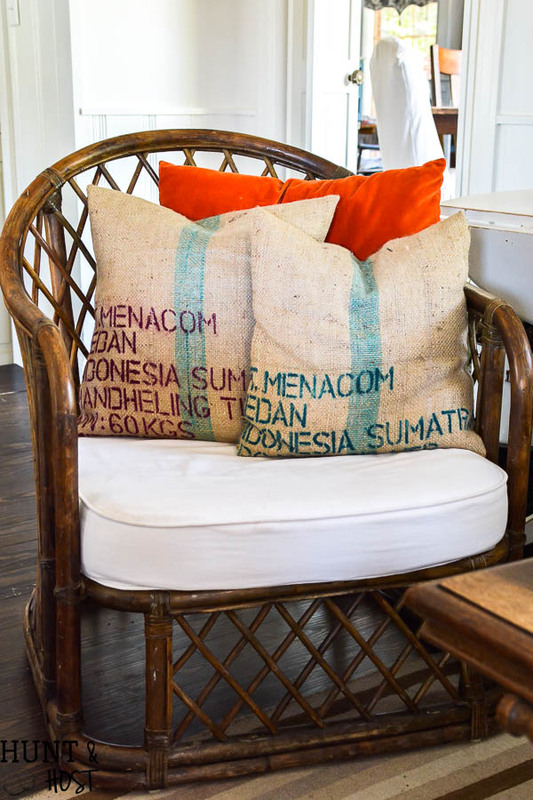 If you’ve been hanging out here for a while you’ve seen a few other coffee sack inspired projects, but this one is so quick and easy you will be headed to the local coffee roaster in no time. 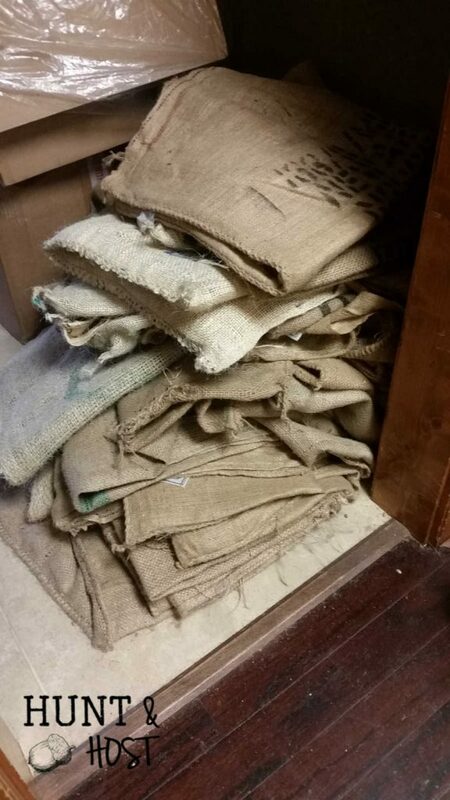 The local coffee roaster I go to has stacks of these bags left over after their beans shipments come in from all over. I love to go rummage through the stacks and pick out the color combos that speak to me. 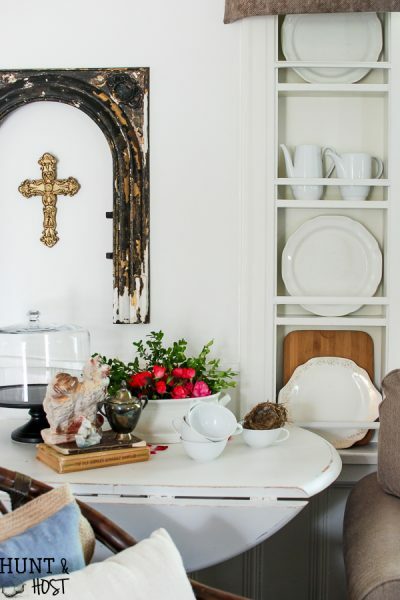 I love that the neutral colors can be used for holiday pillows or everyday pillows. Any section of bag without print doesn’t go wasted either! 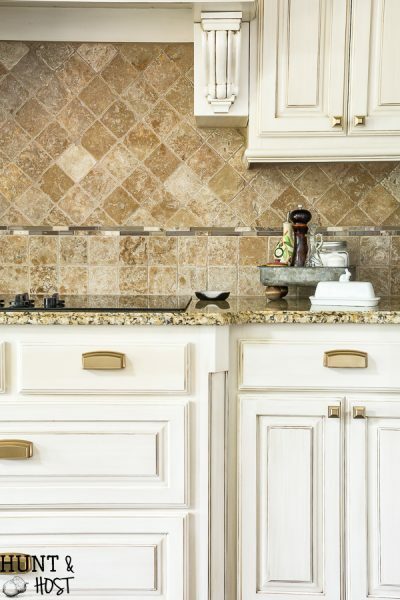 The plain burlap, strips or whatever graphic will also make a stunning pillow. I like to refer to the coffee bean sack strip as a poor man’s French grain sack. They have such a similar look at a fraction of the price. My mom and I did a short Facebook live on how to make these coffee sack pillow covers partially to give you the directions, but especially to show you honestly how quickly these little pillow covers come together. 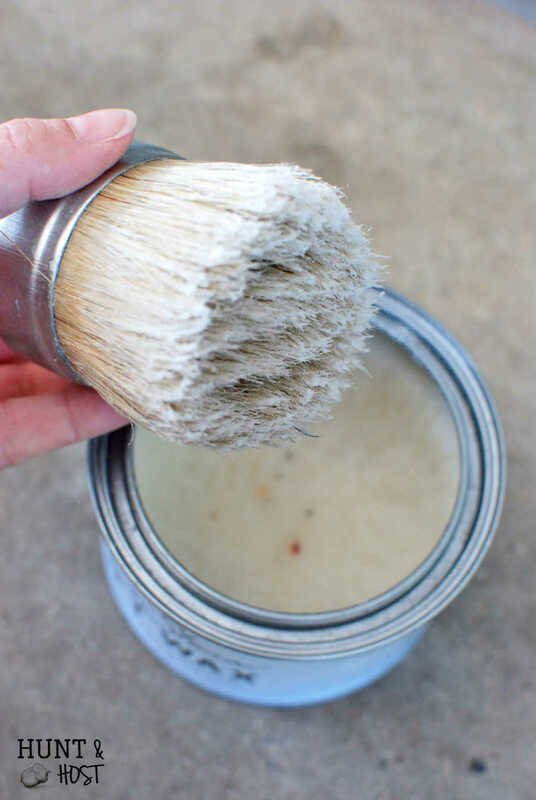 I would LOVE to have you follow me over on Facebook and share this easy tutorial with anyone who needs to up their pillow game! 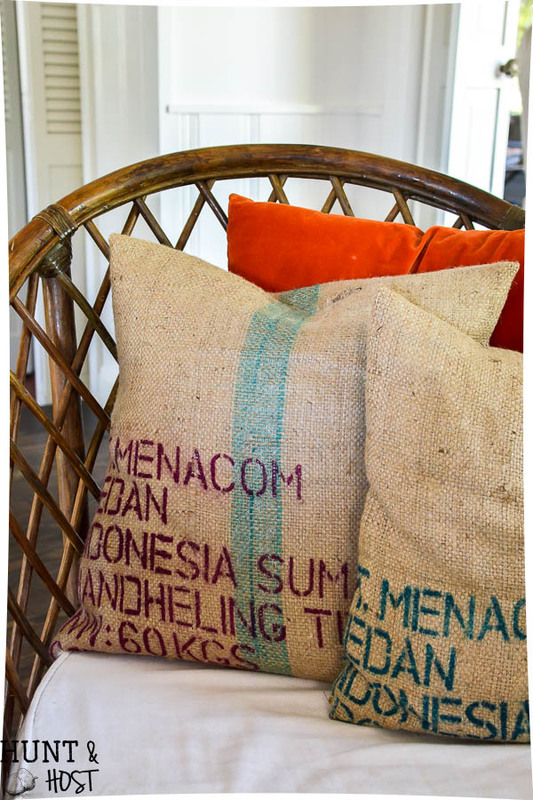 Tutorial here:: Whip up some of these coffee bean sack pillows for a quick change or a great gift! 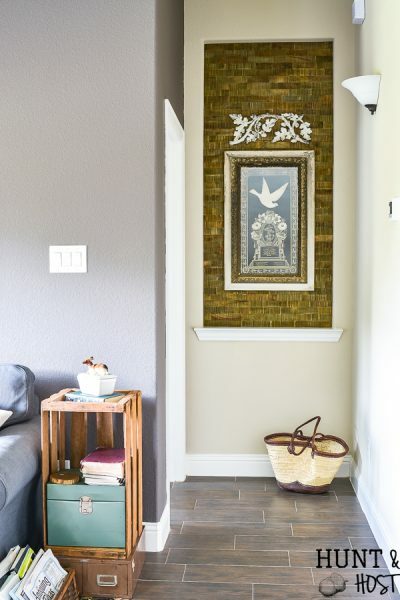 Check out this stepstool makeover, or how about this chair!? Love y’all friends! thanks Lisa, I will try to do more videos!!! I really enjoyed watching your video. Nice pillow cover instructions. 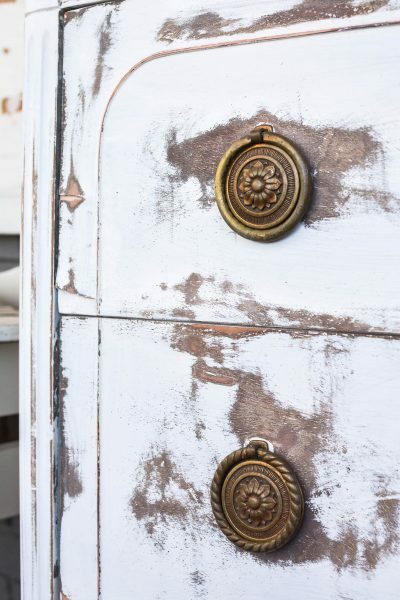 Yes – to many to store, so glad you like them!!! Thanks to you and your Mom for the pillow cover tutorial. I enjoyed watching and learning the easy technique. You both did a great job of explaining each step. I’m adding this to my list of projects. Aren’t they simple!? Hope you have fun making them! Any suggestions on where to find these bags? We have a local coffee roaster here in town that sells them once they roast the beans, you could look around you locally or try online. Hope that helps! 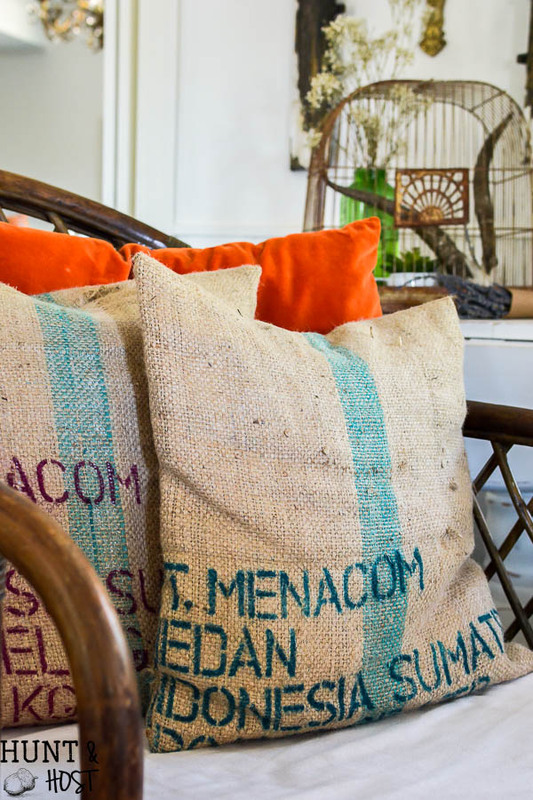 I love coffee sacks, last year I bought ten at this flea market in Charleston and made a bunch of pillows too, Your pillow look beautiful, i love the writings on them so unique each and every one. they are so fun, lots of great color, font and writing. I bet yours are precious!